The latest release from Deersky’s Soundteller Records welcomes D-Rhapsody to the label for their debut EP. Hailing from Italy, Max Orian and Alberto Gasparini make up the D-Rhapsody production duo. After forming the partnership in 2015 Max and Alberto have built an impressive discography, highlighted by releases on Dopamine Music, Natura Viva and Stellar Fountain. 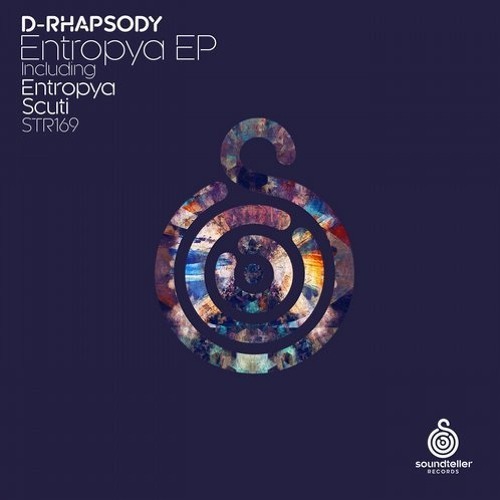 Now making their much anticipated debut on Soundteller Records, D-Rhapsody present their ‘Entropya’ EP D-Rhapsody’s most recent release, the four track ‘Rip Current’ EP for Nikko.Z’s Dopamine Music showed a duo operating at their creative best. Their Soundteller debut more than matches that with two intense, dramatic pieces of progressive house. Quickly becoming master storytellers, the EP begins with the heady, rhythmic qualities of ‘Entropya’. Amidst a haze of tripped out effects lies a powerful, almost dubby sounding groove, constantly evolving with wonderfully crafted organics and a break that delivers just the right amount of tension. Deep and deadly. The companion piece ‘Scuti’ is a bit more direct with a tighter, punchier groove and bigger elements, most notably a siren like lead which has a distinctly modern feel. For as dark and crunchy as it is the breakdown does deliver heaps of emotion with hopeful pads playing off the waning lead line before ultaintely dispersing as the groove thunders down. For progressive house fans that enjoy depth, creativity and a splash of psychedelia you’d be hard pressed to find finer music than this. Two stand out creations once again from D-Rhapsody and a great addition to the Soundteller roster as well. Highly Recommended.